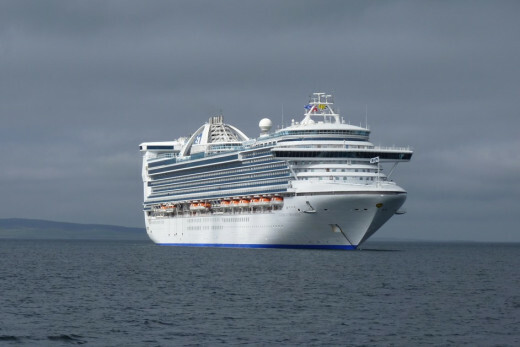 The 3,000+ passenger Caribbean Princess cruise ship in Kirkwall harbour in the Orkney Islands, Scotland UK in 2012. 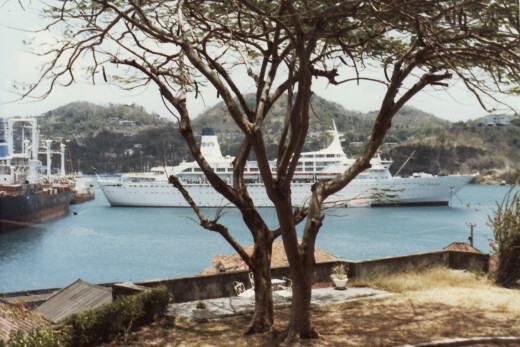 Tender leaving the Sun Princess in Grenada harbor in 1980. Note, the tenders/life boats are not covered. Also, no balconies on the cruise ship. 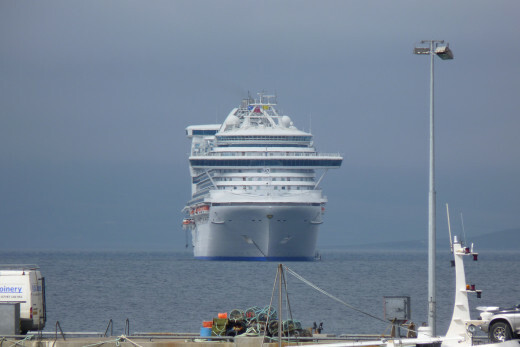 Tenders/life boats are bringing passengers back to the Caribbean Princess cruise ship in Kirkwall harbour in the Orkney Islands, Scotland UK in 2012. Note that the tenders are covered. Also most of the rooms on the ship have balconies. 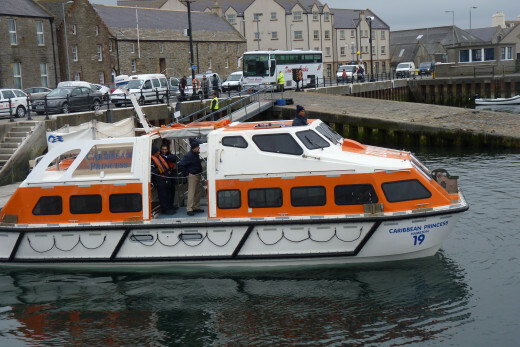 A Caribbean Princess tender in Kirkwall harbour (Orkney Islands, Scotland) in 2012. These tenders are covered. 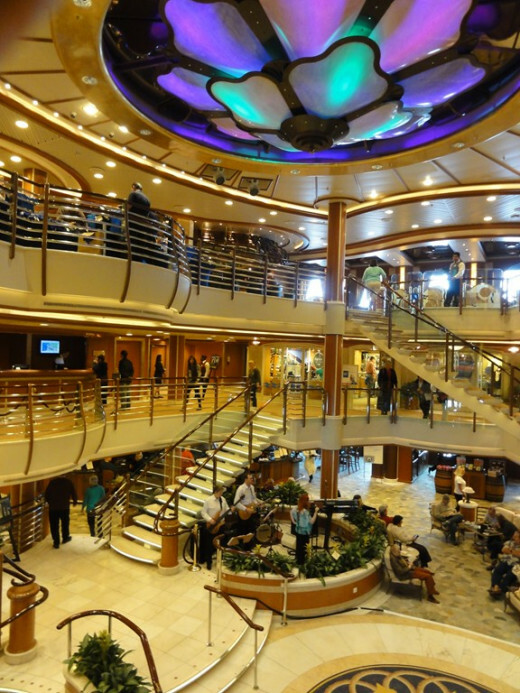 The three floor main lobby on the Caribbean Princess in 2012. Oringinal Sun Princess dining room, April 1980 somewhere on the Caribbean Sea. I (Joe) am eating two dinners as there were too many great choices on the menu and the waiter said to have both! Lobster and pheasant on Formal Night! 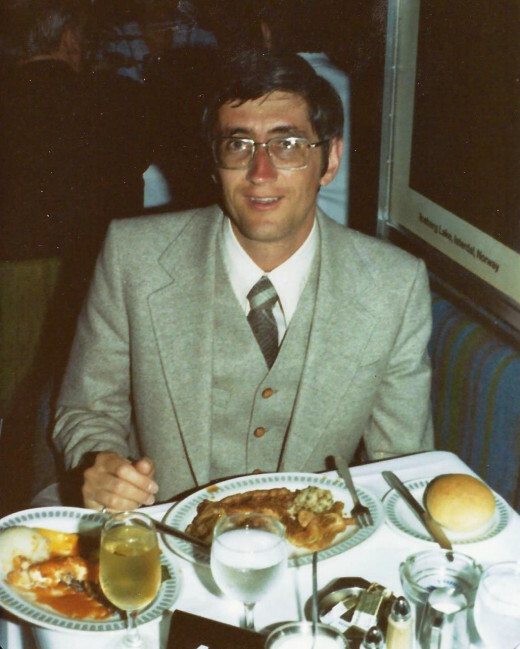 Great food in 1980! 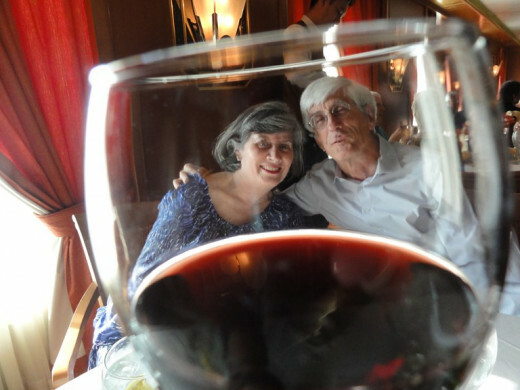 Marilyn and I (Joe) having dinner (and wine) on a casual night in the main dining room on the Caribbean Princess on the North Sea in 2012. Great food in 2012! 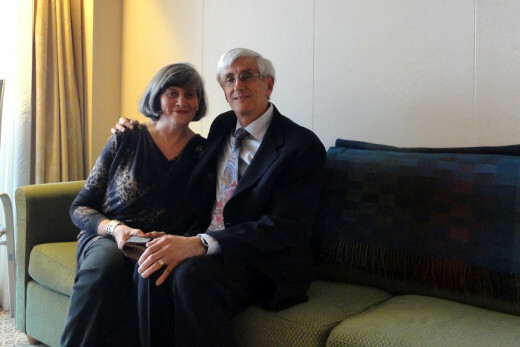 Marilyn and I (Joe) in our mini-suite room on the Caribbean Princess in 2012 on a formal night sailing in the Hebrides of Scotland. To celebrate our tenth wedding anniversary in 1980, we decided to try something new that had come on the scene in 1970’s – cruising! The most popular cruise company at that time was the Princess line as their ship had been featured in a 1976 movie called “The Love Boat” on the original “Sun Princess”. Following this, in 1977 the TV series, also titled “The Love Boat” began airing using the “Pacific Princess”. 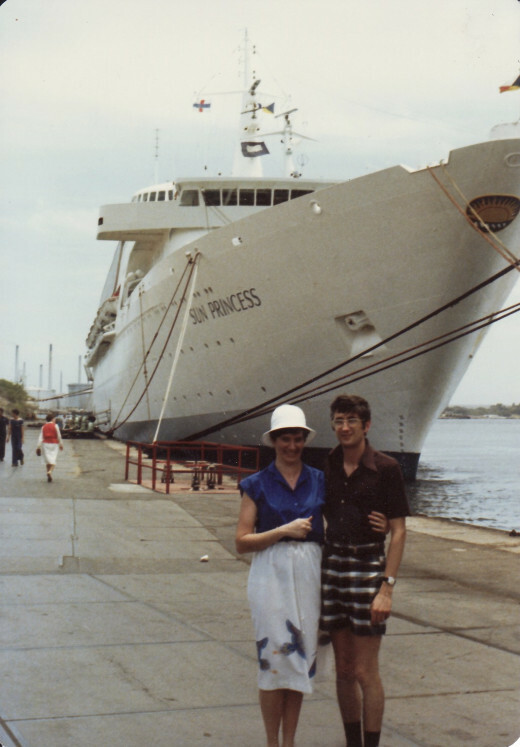 In Spring 1980 my wife, Marilyn, and I boarded the original Sun Princess in San Juan, Puerto Rico for a seven day cruise of the Caribbean Sea with stops in Martinique, Grenada, Venezuela, Curacao, US Virgin Islands, then returning to Puerto Rico. We did not cruise again until 2007 (but on a different cruise line) after both of us retired; however it was Spring 2012 that we again sailed on the Princess line, 32 years later, this time the Caribbean Princess. We took a 12 day tour around the British Isles starting from Southampton England, then to the Channel Islands, Wales, Ireland, Northern Ireland, four stops in Scotland (including Glasgow, Orkney Islands, Scottish Highlands and Scottish Lowlands), Le Havre France and returning to Southampton England. After this cruise on the Caribbean Princess, I pulled out the few photos that I had taken while on the Sun Princess 32 years earlier for comparison. What a difference in the Princess fleet after 32 years! 1. 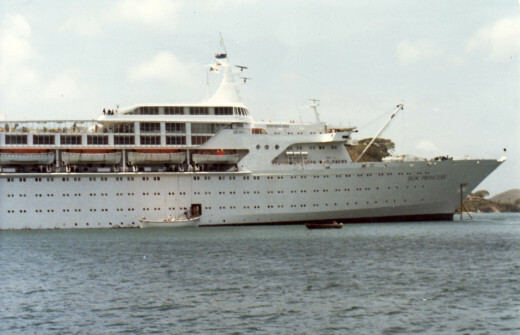 The original Sun Princess had 700 passengers while the Caribbean Princess had just over 3,000. 2. No balconies on the Sun Princess while there were over 1,000 suites with balconies on the Caribbean Princess. 3. The casino on the Sun Princess had only slot machines while the Caribbean Princess had a full casino. 4. We had an interior room on the Sun Princess which was about 12’ x 7’ in size including the bathroom, very small! The shower in the bathroom was triangular in size 18” x 18” on the two wall sides, while the shower curtain on the diagonal side, always touched you when showering. I cannot recall having a TV on the Sun Princess. On the Caribbean Princess we had a mini-suite with a balcony which seemed so spacious and never crowded! The bathroom included a full combination bathtub and shower. There were two TVs in our room and internet Wi-Fi. 5. On the Sun Princess they had a Midnight Buffet every night. 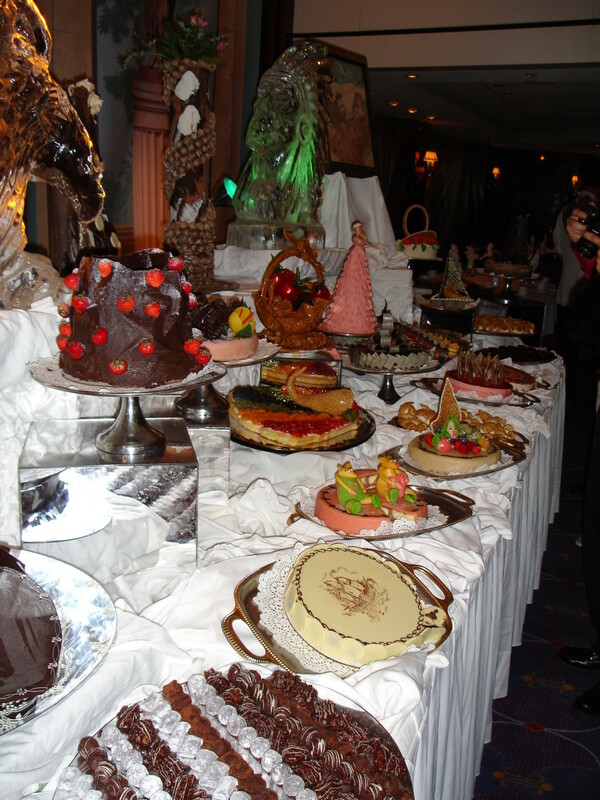 On the Caribbean Princess there was no Midnight Buffet. 6. 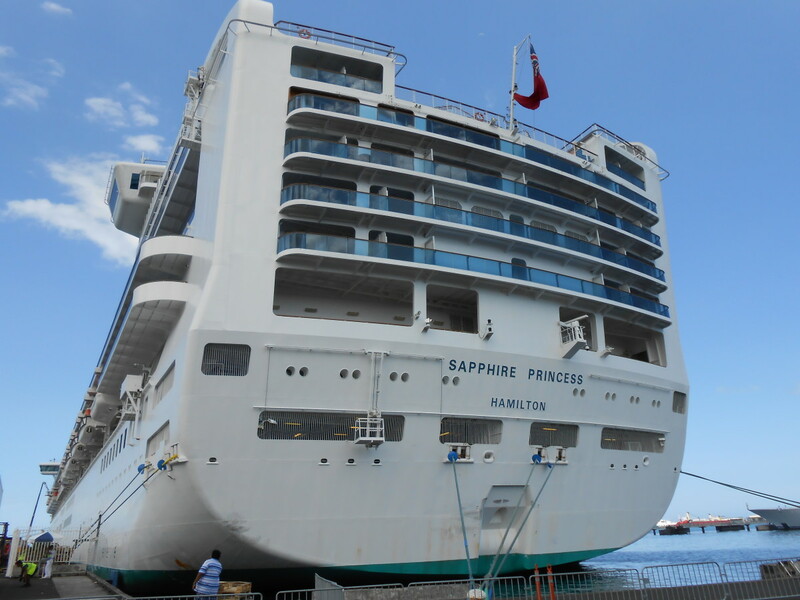 On the Sun Princess, many people got sea-sick the first day out from San Juan Puerto Rico as the ship did move up and down because there were no stabilizers on the ship. 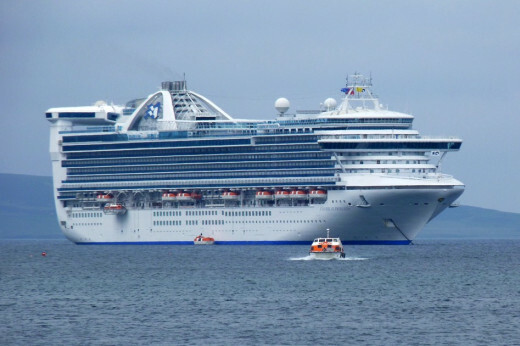 On the Caribbean Princess, you could feel the ship sway slightly in rough waters, however there were stabilizers on the ship and very few people had seasickness. 7. There was only one pool on the Sun Princess while the Caribbean Princess had three pools and several hot tubs. 8. 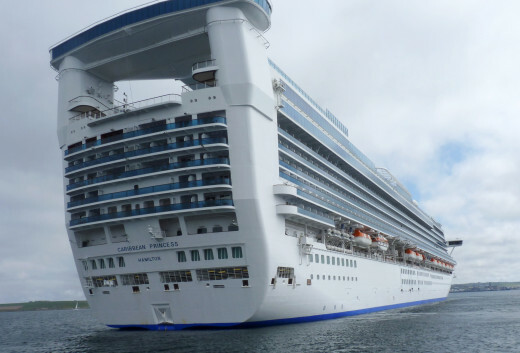 The Caribbean Princess ship was much larger than the Sun Princess and thus had many more features, rooms, bars, specialty coffee bars, restarurants, children’s areas, sports areas, much more shopping, art auctions, spas, etc. etc. etc. 9. Both ships showed the latest movies. The Sun Princess used a separate movie theatre while the Caribbean Princess showed them at the Princess Theatre, or outside at night on a large screen beside the pool under the stars, or in your room on your TV. 10. 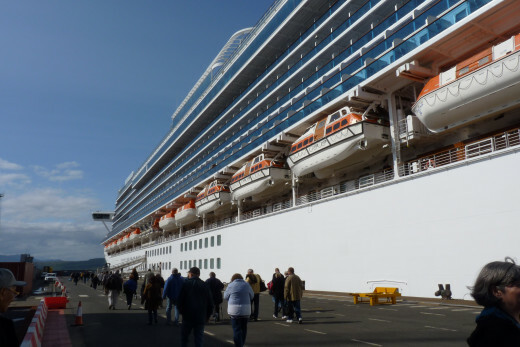 The life boats or tenders on the Sun Princess were not covered, resembling large row boats. On the Caribbean Princess, they were covered and were self contained boats. 11. On the Sun Princess there were no personal magnetic ship cards, no scanning your cards when leaving or reboarding the ship and no screening of bags when reboarding the ship in the various ports of call. On the Caribbean Princess all of this was done. 12. In 1980 the Princess line was owned by Britain's P&O line (Peninsular & Oriental Steam Navigation Company). In 2012 Princess Cruise Lines is owned by the Carnival Corporation located in USA. 13. On the Sun Princess, not everyone had cameras. For those who did, photography was with film which was expensive, thus you seldom saw people taking photographs. On the Caribbean Princess virtually everyone had at a digital camera and/or a cell phone with photo capability, thus everywhere you would see people taking pictures. 14. On the Sun Princess there was no telephone communication when you were on water as satellite communication was not yet available. On the Caribbean Princess you could use the phone in your room anytime to call anywhere as it was by satellites. Surprisingly, there actually were many similarities between the two ships! 1. Both ships had fantastic meals with excellent service. 2. Both ships had various dining options, such as the formal dining room, restaurant beside the pool, room service, and cafeteria style eating. 3. Both ships had a theatre featuring live entertainment every night. 4. 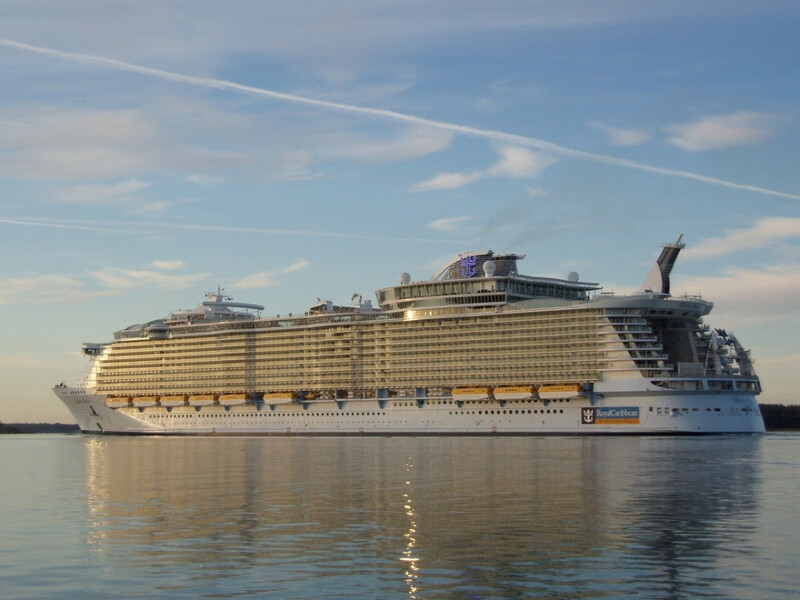 Both ships offered shore excursions in the various ports of call. 5. 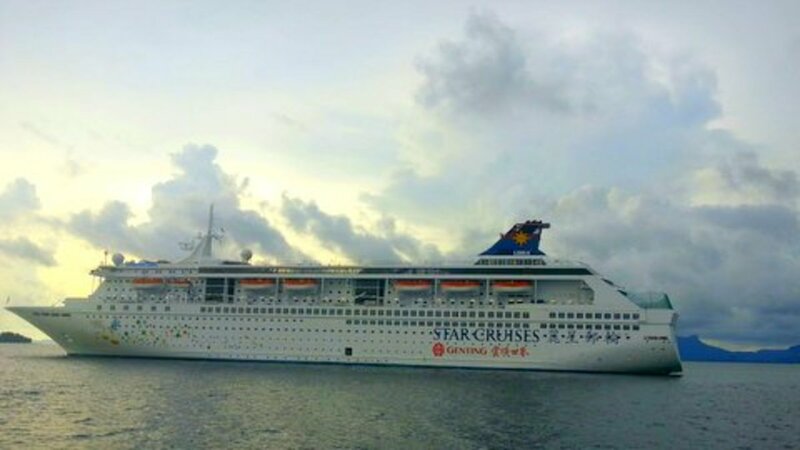 Tenders had to be used on both cruises as the Caribbean Princess was too large for several ports in the UK, but even the smaller Sun Princess was too small to dock in Grenada. 6. On both ships the lifeboat drills were done with your life jackets. 7. 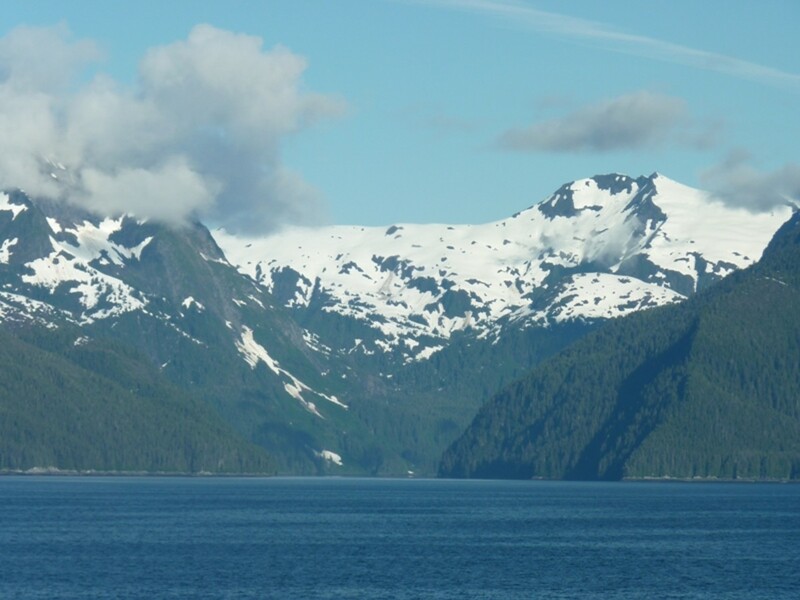 Both ships had fascinating, interesting and a variety of ports of calls which continues to be a great feature of cruising. 8. On both ships you felt special and lucky to be travelling in style and comfort for that era. To summarize, cruising was great 32 years ago when cruising was in its infancy, however today cruising is much better and a fantastic way to travel the world in five star luxury where every morning you wake up in a different country and a shore excursion is waiting to whisk you away for another great foreign adventure! Thank you Taranwanderer very much for your comment! Much appreciated! Hope that you are able to go cruising soon!